All told I'm not too surprised Borderlands 3 is an Epic Store exclusive but it does give me pause as to... Read All Today Gearbox unleashed the release date for Borderlands 3 on PC, XBox One and PS4 of September 13th to some fairly unhappy PC fans. Typically Borderlands PC fans are a happy bunch as the game has quite a few benefits to the PC port in increased FOV sliders and detail options but publisher 2K has decided to go with a six months PC Epic Store exclusive meaning that you can't buy Borderlands 3 on PC via Steam at launch. This has led many PC fans to be quite upset and has tanked the review scores of Borderlands 2 as some are venting their frustration in Steam reviews. Here it is... the first Borderlands 3 trailer and it looks like a crazy next step for the series that rocketed the shooter looter mechanics into orbit. So much so that it seems like this game will feature entirely new game worlds and not take place on Pandorda. Gearbox didn't drop a ton of new details about the new game but there are some to be gleaned from the trailer and many characters make a return such as Lilith, Sir Hammerlock and Rowland (with a sax solo obviously). Here it is... the first Borderlands 3 trailer and it looks like a crazy next step for the series that rocketed the shooter looter mechanics into orbit. So much so that it seems like this game will feature entirely new game worlds and not take place on Pandorda. Gearbox didn't drop a ton of new details about the new game but there are some to be gleaned from the trailer and many characters make a return such as Lilith, Sir Hammerlock and Rowland (with a sax solo obviously). Gearbox dropped an all new trailer teasing the upcoming Borderlands game they will reveal via a livestream tomorrow at PAX East! There have been some leaked details but I won't spoil any of that for you as I imagine most of it will be revealed tomorrow in the Gearbox livestream. It's not known if the game will be called Borderlands 3 but it seems like it might feature quite of bit of off Pandora adventuring as teased at the end of Borderlands 2. "Mayhem is coming! Tune in tomorrow at 11am PDT / 2pm EDT at Borderlands.com for Gearbox’s PAX East livestream." https://borderlands.com/en-US/ Gearbox dropped an all new trailer teasing the upcoming Borderlands game they will reveal via a livestream tomorrow at PAX East! There have been some leaked details but I won't spoil any of that for you as I imagine most of it will be revealed tomorrow in the Gearbox livestream. 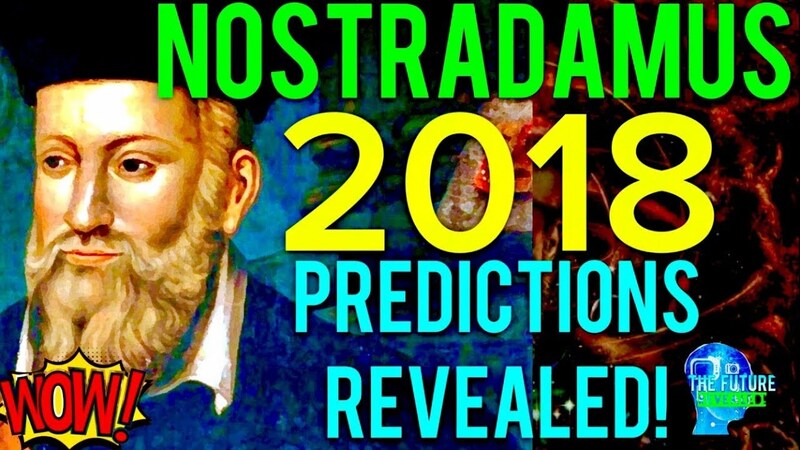 Cheeful Ghostradamus 2018 Gaming Predictions! I expect that 2018 will be a great year in gaming but how great will it be? I reached out to people in the Cheerful Ghost community to look into the future to see what awesome stuff might be coming this year. At the end of the year we can come back to this and see how well we did and use creative readings to make us all look way smarter than we actually are! If you have any other predictions drop them in the comments! Will Ball: One person can dream, right? Nintendo will finally release a virtual console for the Switch. It will cover the NES, SNES, all gameboys, N64 and GameCube. This will keep the Switch as the number one... Read All I expect that 2018 will be a great year in gaming but how great will it be? I reached out to people in the Cheerful Ghost community to look into the future to see what awesome stuff might be coming this year. At the end of the year we can come back to this and see how well we did and use creative readings to make us all look way smarter than we actually are! Will Ball: One person can dream, right? Nintendo will finally release a virtual console for the Switch. It will cover the NES, SNES, all gameboys, N64 and GameCube. This will keep the Switch as the number one console throughout 2018.
jdodson: Nintendo will announce the new Nintendo 64 classic and launch it in September of 2018. It will be $100 and come with two controllers and a solid lineup of Nintendo 64 games. The system won’t be seen as better than the Super Nintendo Classic because the lineup won’t be perceived as quite as strong because of licensing issues(Rare) and some games won’t hold up to people’s memory of them. I’m excited for this and will get it but I think we hit “peak Nintendo classic” with the Super Nintendo Classic and it will be hard to top it. Travis: We will finally get some news about that long-awaited Final Fantasy VII remake that was announced a few years back. It may or may not release in 2018 but whenever it does release it will be a solid game, but many fans of the original will be unsatisfied because of the lack of traditional turn-based battles and other changes. Games of Three, Let Them Be! Travis: Valve will learn to count to three and we’ll get news of either Half-Life 3 (unlikely), Portal 3, Team Fortress 3, CounterStrike 3, Left 4 Dead 3, or DotA 3. AdamPFarnsworth: VR will continue to become more and more valuable in architecture and engineering design and presentation to clients. Timogorgon: Square-Enix will continue their advertising program with Cup Noodles. They'll eventually move beyond product placement and roll out an entirely Noodle based DLC for one of their games. Will Ball: What would a Cheerful Ghost article be without some Star Wars? After the fan backlash of The Last Jedi, and JJ’s carefully laid plans being ripped apart, Lucasfilm will release a JJ Abrams’ cut of The Last Jedi. This will set up Episode 9 so it can be true to JJ’s vision. It will also make The Last Jedi the highest grossing movie ever. Travis: While we certainly haven’t seen the end of loot boxes, the Star Wars: Battlefront 2 outcry will make EA rethink their purpose a bit and others will hopefully follow suit, making pay-to-win hard to find in a game you have to pay for up front. I am missing out on those cup of noodles. There's nothin' else like 'em. They're easy to make whenever you've got a craving and their delicious to boot. I'll never forget my first time. That's some intense product placement. Is the hat just a cup turned upside down? After Gearbox announced that it was in development on Borderlands 3 I've been interested in hearing about how it's shaping up. At this years GDC some footage was shown of Borderlands 3 using the latest Unreal Tournament 4 engine and how it's effecting the look of the game. They wanted to stress that they weren't showing a game but an engine but I imagine this is what they will be eventually rolling with when the game launches... when it launches. The video shows off how they make the art style for Borderlands, the new lighting system and some production art assets. After Gearbox announced that it was in development on Borderlands 3 I've been interested in hearing about how it's shaping up. At this years GDC some footage was shown of Borderlands 3 using the latest Unreal Tournament 4 engine and how it's effecting the look of the game. They wanted to stress that they weren't showing a game but an engine but I imagine this is what they will be eventually rolling with when the game launches... when it launches. The video shows off how they make the art style for Borderlands, the new lighting system and some production art assets. Its a stretch yet to call it footage from Borderlands 3 since it's just tech demos but yeah this is shaping up nicely. > Its a stretch yet to call it footage from Borderlands 3 since it's just tech demos but yeah this is shaping up nicely. I'd actually say it's a stretch to say otherwise. 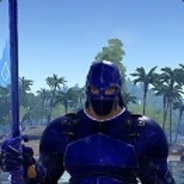 Will some of the art change? Yeah sure, but the core engine will be used for sure. Companies don't spend a zillion dollars making this stuff to be scuttled. Even if the code changes, this is the foundation and i'd bet money it will be the foundation for Borderlands 3. The reason he is saying "this isn't a game" is so fans don't get locked into a set of features and then go crazy when they are different in the game or don't show up the way they think. It's more damage control than "yeah man this is what we're gonna do for sure" which again, i'd bet money it will be. Ehhh well, I think I agree with almost everything you said there, so we're probably talking semantics about what is meant by "game footage." What I mean is that it's a room or two, some random objects, and a character model. There's no game yet to have footage of. For sure this stuff is being worked on FOR Borderlands 3, no question. But they're taking very basic pieces of it to figure out their lighting tech for Unreal 4, essentially. So what I meant was, taking some assets people have built for BL3 and dropping them into a tech demo to show off lighting isn't game footage. > "Companies don't spend a zillion dollars making this stuff to be scuttled." A lot of them do. Remember the PS3's Final Fantasy VII tech demo? And Valve reportedly did this a lot with games when Source 2 came out, re-creating an entire Left 4 Dead 2 level just to test the engine (and that thing looked amazing). Bethesda may have as well; they claimed at one time that the first step in developing Fallout 4 was to port Skyrim to new consoles and that they had no plans for a Skyrim port... but their plans obviously changed. Art assets change, for sure. The base engine? It evolves for sure but i'd be surprised if the game doesn't look a lot like that when it launches. Companies change things but my main point really is in this instance I bet Borderlands 3 will look very much like that and use that tech. I think there's some miscommunication here because as I said, I totally agree with what you're saying there. I'm just saying that this is light effects. Yes, they'll probably use those, along with the assets. But it's *just* art and lights now. It's too early to say "footage of Borderlands 3" because it isn't even a game yet. A video of a wheel and a door isn't footage of a new car. That's what I mean when I say we're talking semantics. Games are composed of elements like lighting to make a final product. This is as much Borderlands 3 as my arm is me. That said, detached from my body it's just an arm... That came from me. PS BORDERLANDS 3 FOOTAGE CONFIRMED! THE GAME CONFIRMED TO HAVE LIGHTS AND SIGNS! That's really all I have to say now. I think I'm gonna put that in my email signature. My guess is that they actually have a playable game built. I bet they've more than started that and are integrating all the parts, creating art and doing level design. I've seen what a smaller team can do with UE4(System Shock) in a short amount of time. I bet they are much further along than that demo would suggest. ALL SPECULATION but they have teams of a zillion so I bet they are pretty far along. MY GUESS is we will see gameplay by years end. That might be really optimistic and wrong though. They probably have the team chunked into smaller ones working on all the parts right now and lighting was the one they were ready to show off. From what I've read about UE dev, it makes things really easy to integrate like that.